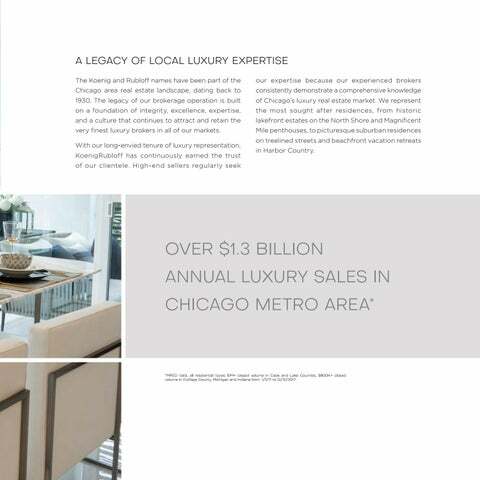 very finest luxury brokers in all of our markets. on treelined streets and beachfront vacation retreats in Harbor Country. *MRED data, all residential types $1M+ closed volume in Cook and Lake Counties, $800K+ closed volume in DuPage County, Michigan and Indiana from 1/1/17 to 12/31/2017.